There are laws that govern the natural world, and when we obey them, both the natural world and people flourish. Most of us want to make a difference. We can do this in one of two ways – we can think about great ideas to help and make every effort to put them into practice, or we can ask God who holds all things in his hand. 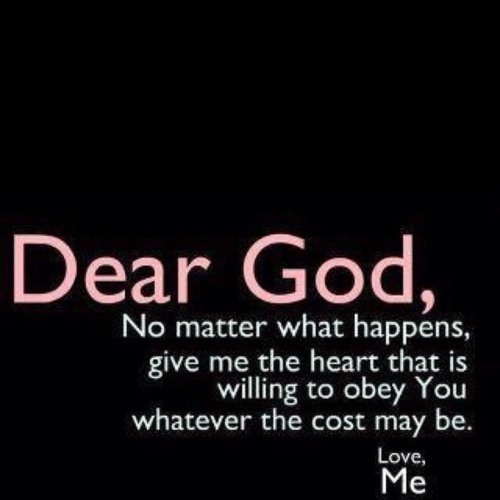 He has set the laws by which our world works, and by which we too function. For instance, I cannot believe in a transformation in Matabeleland without reformation. Man is spirit; he lives in a body and possesses a soul; most attempts at poverty reduction and development target the body (through physical provisions) and the soul (through education etc.) and ignore the spirit. This will not work – transformational change is change from within, it is change in man the spirit and can only be ignited by God the Holy Spirit. What we are praying for, and working for in Matabeleland is first of all a spiritual revival – a reformation that will touch all sectors of life. When people change, they change their circumstances – but it is first of all about changed hearts. And this is why we work with the churches – they are God’s vehicle for a God-initiated change. But we do not ignore the body and the soul – James puts it clearly ‘If one of you says them, “Go in peace; keep warm and well fed,” but does nothing about their physical needs, what good is it? (James 2:16). We work hard to meet physical needs. Most of the rural poor in Africa simply do not produce enough to feed themselves, let alone feed the cities. According to the FAO, in the years between 1975-2003, the USA raised grain yields from 5.5 to 9 tonnes per hectare, Asia doubled theirs from 2 to 4 tonnes per hectare. Africa stagnated at less than one tonne per hectare, and Zimbabwe did even worse than that in the past 10 years with about 0.6tons per ha. This is our first challenge – to raise productivity in rural Zimbabwe. How do we raise the productivity of millions of rural farmers enough to transform the region? How do we do this with people who cannot afford all the equipment and fertiliser that conventional wisdom tells us are a necessity? We look to God’s laws in nature – no one ploughs or fertilises the natural woodlands, and yet year on year they are productive. This is what God revealed to Brian when he first asked this question – and the technology most in Zimbabwe now know as Foundations For Farming came of this. Foundations For Farming teaches two principles – do not plough, and do not burn the mulch; simply dig planting basins, put in the seed and cover with as much mulch as possible. If it sounds simple enough, it is – and this means that anyone can do it – and so it is with the things of God, they are freely available to all his children. 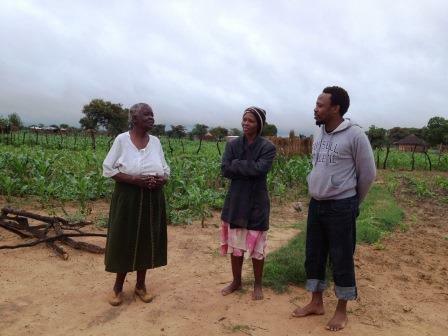 Using these two principles (do not plough, and do not burn mulch), Pauline Maphosa (in the middle) harvested 8 tonnes per hectare when we went to visit her in 2013. All she had was a hoe, some seed and the knowledge that Foundations For Farming gave her. It is on the back of such productivity increases that TMG is rebuilding rural communities in Matabeleland. Our farmers must first of all be able to produce at commercial quantities before we can dream of turning Matabeleland green.